To us, patient care begins from your first phone enquiry. Relationships with our patients are built on a foundation of trust and confidence through understanding and communication so please make your concerns known and feel comfortable. Usually your first appointment will be a consultation to appropriately diagnose your oral needs and to address your concerns. Our dentist will complete a thorough assessment of your mouth so as to determine the issues requiring attention. We take the time to listen to you and find out about your needs and concerns, to provide you with the best dental advice and care. We want you to enjoy the benefits of healthy teeth and a beautiful smile and we are happy to tailor the treatment plan to suit your goals and needs. Magnification is used in all cases to enhance our ability to diagnose accurately and to treaty precisely. Our clinical microscope is used whenever the most powerful levels of magnification are required. We have the ability to magnifying up to 20 times for incredible visual detail. To ensure you receive the best outcome, our practice invests in the ongoing development and training of our staff and is equipped with the most innovative new equipment available. We at Integrity Dental provide every single patient with the upmost care and professionalism. Our waiting room is designed for your relaxation and comfort with magazines, toys for the kiddies and an entertaining video presentation. During your treatment there is a TV screen on the roof for your enjoyment. You can watch TV or we can play a film for you from our selection. We offer ear plugs and headphones with an iPod full of music if you would like to zone-out during your visit. If you are prone to being particularly uncomfortable during your visit, nitrogen gas, commonly known as happy gas, can be used to help you relax. Alternatively we can arrange twilight dentistry (sleep dentistry) for your treatment. Refer to our Comfort Menu for more information or feel free to call our staff with questions. A trip to the dentist has sparked fear in adults and children for many years; however, this no longer has to be the case. There have been significant advancements in dental technology, and this has not only improved the quality of procedures, but also pain management options. Some of these include Nitrous Oxide (happy gas), sleep dentistry, (IV sedation) and local and general anaesthetic which are available for most dental procedures. 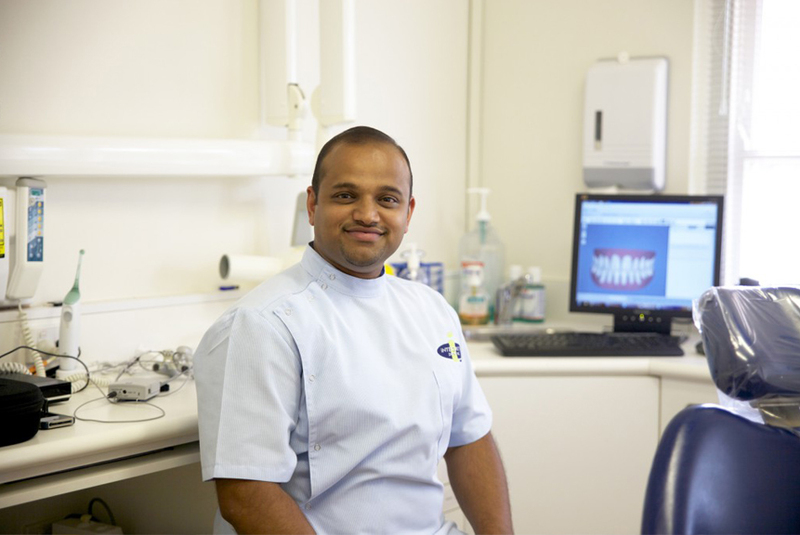 The team at Integrity Dental understand that some patients may feel nervous or anxious about their visit, which is why we will take the time to thoroughly explain the entire procedure to you before commencing any treatment. We can demonstrate the instruments we will use, how they work and the pain relief options available. Our Comfort Menu is full of selections allowing you to tailor your experience to your desires. Things like headphones, a blanket and a hot drink may be the touch you need and we are more than happy to oblige. We also offer Laser Dentistry which, in many cases, means there is no need for an injection or drilling. By using the laser, only the decayed part of the tooth is removed, not the healthy tooth structure. Laser dentistry can be virtually pain free in many cases, and is often faster than using a drill.